18 and overs only. Please bring your ID to guarantee entry. 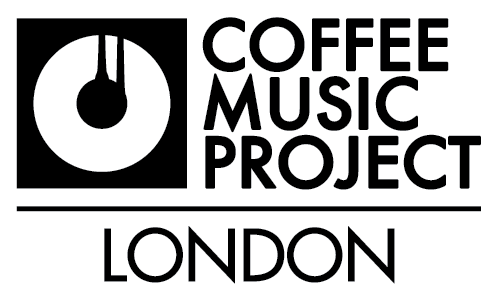 COFFEE MUSIC PROJECT aims to showcase the creativity and talents of emerging musicians, while engaging a deep spirit of community among those who share a passion for great coffee and coffee culture. Proceeds from the live performances will directly support Project Waterfall, a charitable initiative established by The Allegra Foundation to bring clean water and sanitation to the communities which grow our coffee. So far Project Waterfall, has raised over £575,000 and brought clean water to over 20,000 people in. Tanzania, Rwanda, Ethiopia, Nicaragua and Uganda. Our mission is to bring clean drinking water and sanitation to coffee growing communities around the world. As the charity of choice for the coffee industry, we provide a mechanism for the coffee industry and coffee drinkers to give back to the communities which grow our coffee. Project Waterfall was established in 2011 by The Allegra Foundation, a registered charity based in London that was born out of The Allegra Group. With its origins in strategic research consulting for the coffee industry, The Allegra Group has always been closely connected to coffee. The Allegra Group CEO Jeffrey Young started the Allegra Foundation as a way to bring the coffee industry together and positively impact the lives of people in coffee growing communities. Since 2011, Project Waterfall has raised over £575,000 and delivered clean drinking water to over 20,000 people in Tanzania, Rwanda, Ethiopia, Nicaragua and Uganda. Our largest fundraising initiatives include UK Coffee Week, London Coffee Festival, Amsterdam Coffee Festival, New York Coffee Festival, The Coffee Music Project, The Coffee Art Project, and our partnerships with brands across the coffee industry. We use corporate sponsorship from the coffee industry to cover our running costs, so we can make the bold promise that 100% of public donations will go towards funding clean water projects. The funds raised by The Allegra Foundation will be spent solely on water and sanitation projects. We believe that access to water, sanitation and hygiene underpins all other development issues and is therefore a crucial step in breaking the poverty cycle. 90% of coffee comes from third world countries where over 60% of people lack access to safe water. The Allegra Foundation is committed to increasing access to clean water and sanitation across the communities which grow our coffee. We work closely with trusted partners to ensure that the projects we will be funding are sustainable. This is done by training local people who can continue to maintain the water source after we have left, thereby ensuring a permanent source of clean water for each community. We only ever commit to a specific project once we have secured the funds to see it through to the end. We put a lot of thought into choosing which project to support, as we want to ensure that the money we have raised will permanently change the lives of as many people as possible. This event is organized by SEB Collective.